The boyfriend at the center of the GoFundMe missing donations controversy was arrested on an outstanding warrant for a traffic violation Monday night. 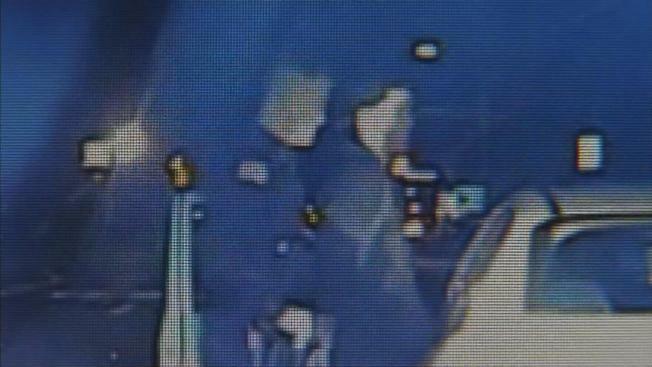 NBC10 obtained exclusive video of the initial traffic stop from last year. A New Jersey man embroiled in an ongoing legal battle with a homeless good Samaritan was arrested for failing to pay a traffic ticket, NBC10 has learned. Mark D'Amico was picked up Monday night in Burlington County on a $500 warrant, officials said. He is currently in police custody. This week's arrest stems from an October 2017 traffic stop, police said. At the time, he was driving on a suspended license and also had a broken tail light. He also failed to appear in court on two separate occassions, officials said. NBC10 obtained exclusive footage of the 2017 traffic stop which you can watch in the video embedded above. His lawyer, Ernest Badway, declined to comment. D'Amico's legal troubles are far from over. He and his girlfriend, Katelynn McClure, are accused of dipping into some of the $400,000 in online donations they raised for John Bobbitt, who gave McClure his last bit of money when she ran out of gas last fall. Badway, who is representing D'Amico and McClure in the civil case, said in a letter dated Thursday that one or both could be indicted by the Burlington County prosecutor for taking Bobbitt's donation funds. D'Amico and McClure have earlier denied wrongdoing or misusing the cash, which was raised on GoFundMe from 14,000 contributors. Bobbitt sued the couple over mismanagement of the funds and a judge ordered sworn statements to determine what happened to the cash, which attorneys say is all gone. The formerly feel-good story has turned dismal, with Bobbitt saying the couple used the funds as "personal piggy bank" to bankroll a lifestyle they couldn't afford. GoFundMe and the law firm representing Bobbitt issued a joint statement last week saying he would receive all the money raised for him. Chris Fallon, Bobbitt's attorney, earlier said he had gotten about $75,000 of the cash. Badway has said Bobbitt got about $200,000. Last week, investigators seized a BMW and other items from the couple's Florence, New Jersey, property. Badway said in his letter that all the couple's personal and business financial statements, along with jewelry and cash were seized in the official raid last week. The story dates back to 2017, when Bobbitt used $20 to help a stranded McClure get gas when her car ran out on Interstate 95 in Philadelphia. As a way to help repay his kindness, McClure and D'Amico launched a GoFundMe page that brought in just over $400,000 in contributions. The account led at first to Bobbitt and McClure making appearances on national TV programs but descended into the dispute over the money. D'Amico has said Bobbitt spent $25,000 in less than two weeks last year on drugs as well as paying for overdue legal bills and sending money to family. Bobbitt's attorney said last week Bobbitt was entering a residential program for drug treatment. The couple also bought Bobbitt a camper with some of the cash and parked it on land McClure's family owns in New Jersey. But Bobbitt became homeless again after D'Amico told him in June he had to leave.